How deep does your love of peanut butter run? If you’re like many Americans, you probably have a soft spot for this creamy spread. But there are so many different uses for peanut butter than just turning it into lunch on the go. If you’ve had chicken satay before, you probably know that peanut butter is perfect to use as a base for making sauces. 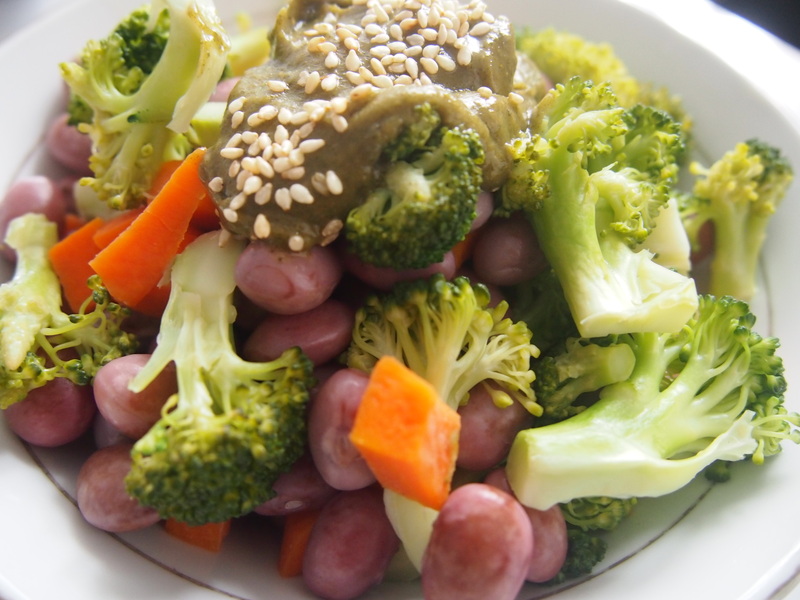 This recipe is made even better with the added nutrition of moringa. And it’s also perfect for St. Patrick’s Day or to support your favorite team (maybe, say, Notre Dame?). 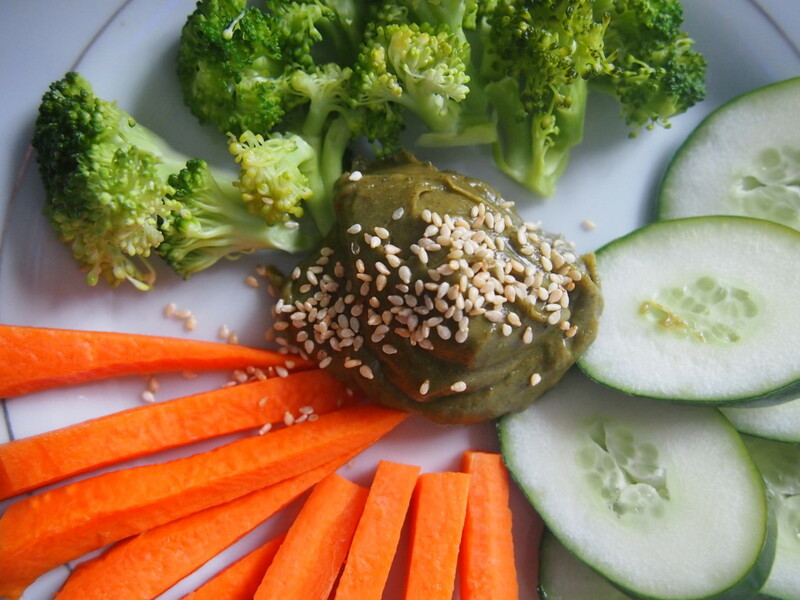 This best part is the versatility of this moringa dipping sauce. You can use it to spruce up rice bowls, noodle dishes, stir fries, and more. Blend all ingredients together using a whisk or food processor. 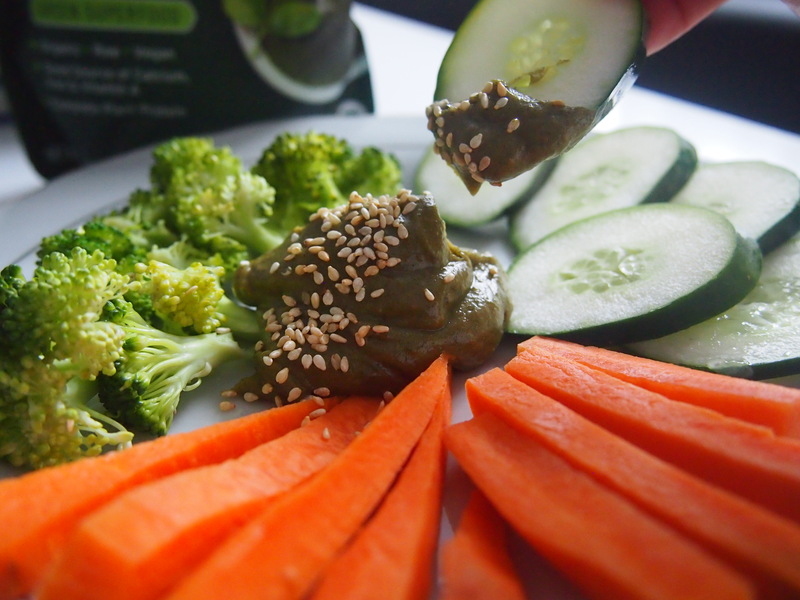 Serve as a dipping sauce with fresh chopped vegetables like zucchini, broccoli, cucumbers, and carrots. Prefer almonds to peanuts? Almond butter also works perfectly in this recipe. Barbara Lee is a techie who loves healthy food, conservation, and the environment. With a BS in Psychology and previous work experiences in the legal field and food industry, Barbara enjoys pursuing new experiences and living a simple life on the road.